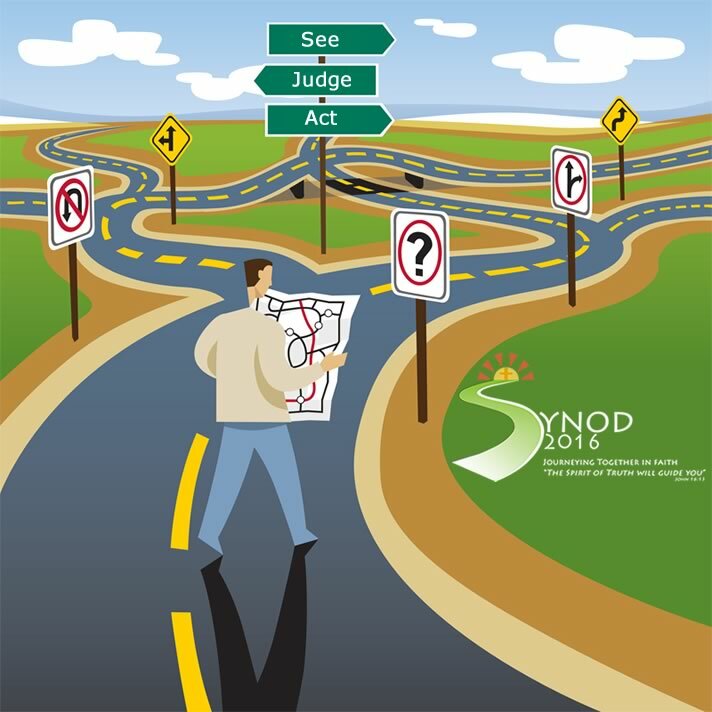 Six themes, considered to be among the biggest issues facing the Catholic Church today, have been selected for Ireland’s first diocesan synod in half a century following a meeting at the weekend. A gathering of over 300 delegates – 70% of whom were lay people – who will take part in the Limerick Diocesan Synod next year selected the six themes from a shortlist of 12 compiled over a ‘Listening Process’ in the first half of 2015. The process connected with 5,000 plus people, from primary school children to the elderly and drawn from all socio-economic backgrounds and ethnicities, across the diocese. The Listening Process included a questionnaire responded to by 4,000 people, amounting to the largest poll of the faithful in relation to issues facing the Church in Ireland in the modern era, as well meetings attended by over 1,500 individual people. All 60 parishes engaged in the process, as well as 25 other groups, including primary, secondary and third level education, healthcare workers, members of the travelling community, the migrant community and people with disabilities. It culminated at last weekend’s Delegate Day when the six themes were voted for after a day of intense reflection and discernment. Community & Sense of Belonging was not alone the first theme selected by delegates but was also the most frequently mentioned (3,689 times) in questionnaire responses. Topics referenced here included ‘cliques’, how to build communities, declining numbers in communities, encouraging volunteerism, generating a caring ethos in communities and stimulating more social gatherings. The theme featured prominently across parish discussions and other groups such as the Polish community, the traveller community, people with disabilities and third level students. Faith Formation was the second theme selected by delegates and the biggest single issue emerging under this theme in the questionnaires was reconciling Church teaching and the ‘lived reality’. This was particularly evident in responses from young people as well as people with disabilities and those in healthcare. Adult faith formation and religious education are also key topics across parishes and young people. Pastoral Care of the Family was the third theme selected by delegates. Areas of concern referenced by respondents included the role of parents and guardians in passing on the faith, separation and divorce, second relationships and caring for children, gay marriage and equality for gay people all very much on the agenda. Issues under the Pastoral care of the Family theme came up across parishes, in particular, but also all other groups engaged in the process and was particularly strong in primary, secondary and third level education groups. Trying to address issues around shortage of clergy was one of the topics in the ‘New Models of Leadership’ theme – the third most referenced (2,451) of the six in responses to questionnaires. Delegates, particularly drawn from parishes and third level students, talked of the need for new, skilled leadership models. Personal skills of pastoral leaders, the shortage of vocations, married clergy and the role of women in leadership were the highest ranking issues under this theme. The fifth Synod theme selected by delegates and the second most referenced (2,606 times) in questionnaires was Liturgy & Life – how we pray as Church and how this connects with daily life. Respondents referenced concerns about having meaningful and joyful liturgy. Having music in liturgy/Mass was the highest ranking topic in the Liturgy theme, particularly amongst young people. Language in liturgy is also a concern, particularly for the Irish speaking community, while the Church environment was also particularly important to people with disabilities and the traveller community. The sixth theme will be young people and here the engagement and empowerment of young people was of concern across all groups.